Superior quality tea, unique to South Africa. "Our Heritage, from Bush to Brand." 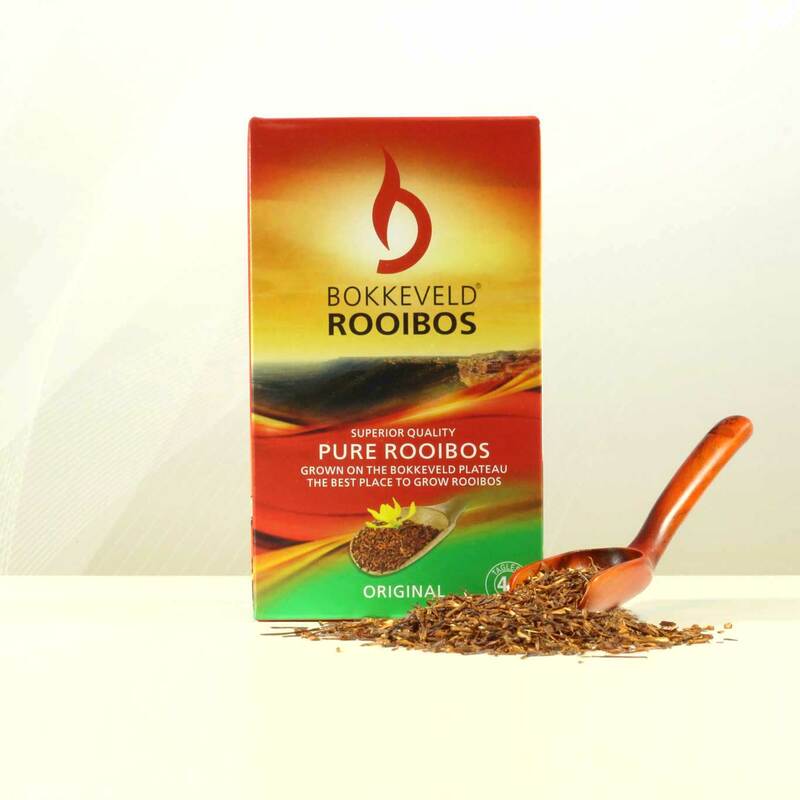 100% Rooibos (Aspalathus Linearis) Strong authentic rooibos taste and aroma. 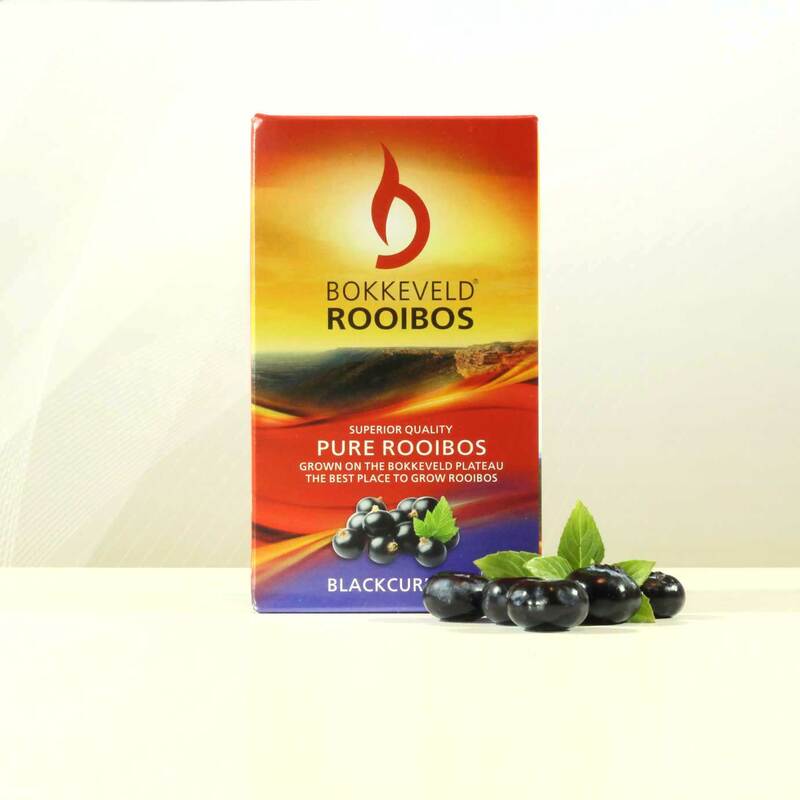 100% Rooibos (Aspalathus Linearis) with a natural flavouring of blackcurrant, a beautiful aroma while steeping with an extremely soothing feeling while drinking. 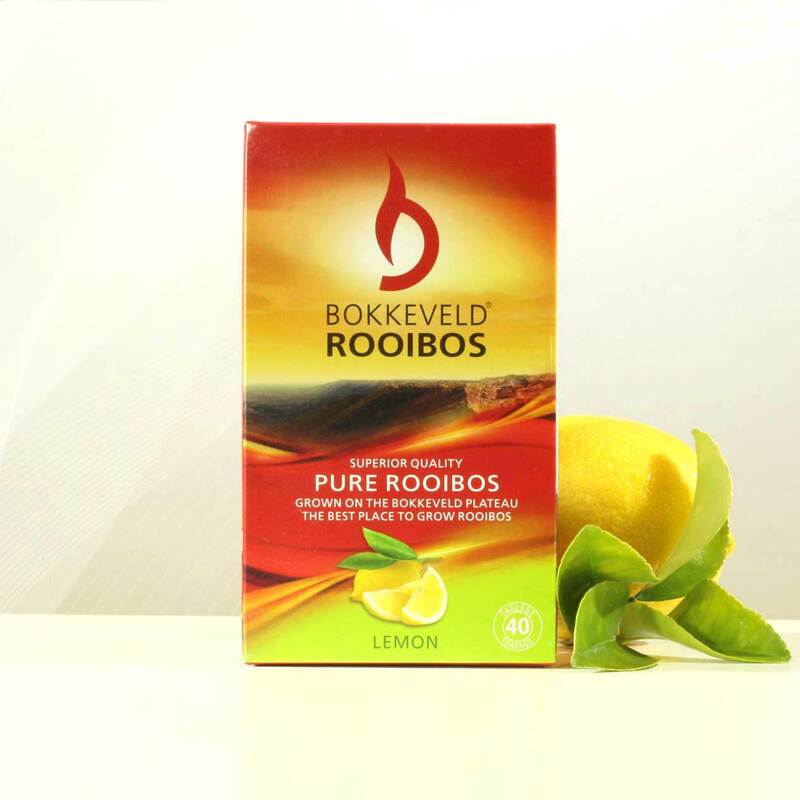 100% Rooibos (Aspalathus Linearis) with a natural flavouring of honey, which adds a lovely sweet taste to the authentic rooibos tea flavour. 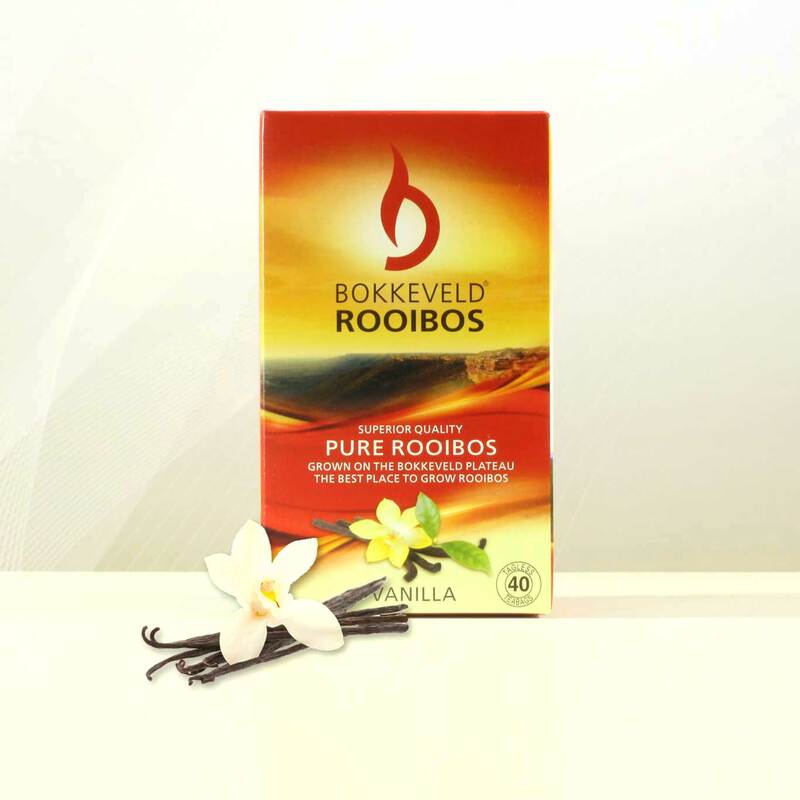 100% Rooibos (Aspalathus Linearis) with natural flavouring of vanilla, the vanilla brings out the sweetness of the rooibos allowing for a rich flavouring tea. 100% Rooibos (Aspalathus Linearis) The Pyramid shaped bag allows more of the unique flavour that comes with tea grown on the bokkeveld plateau. Pyramid shaped bags with a dunkable string. 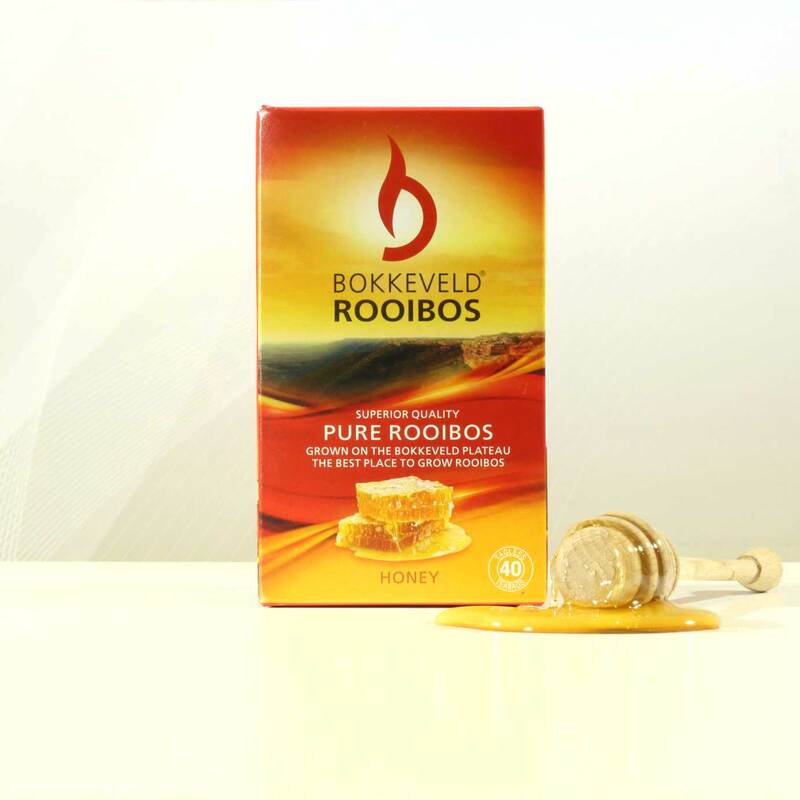 Our environment's flavor profile differs somewhat to the rooibos teas grown in the Western Cape because of the high altitude of the Bokkeveld plateau. 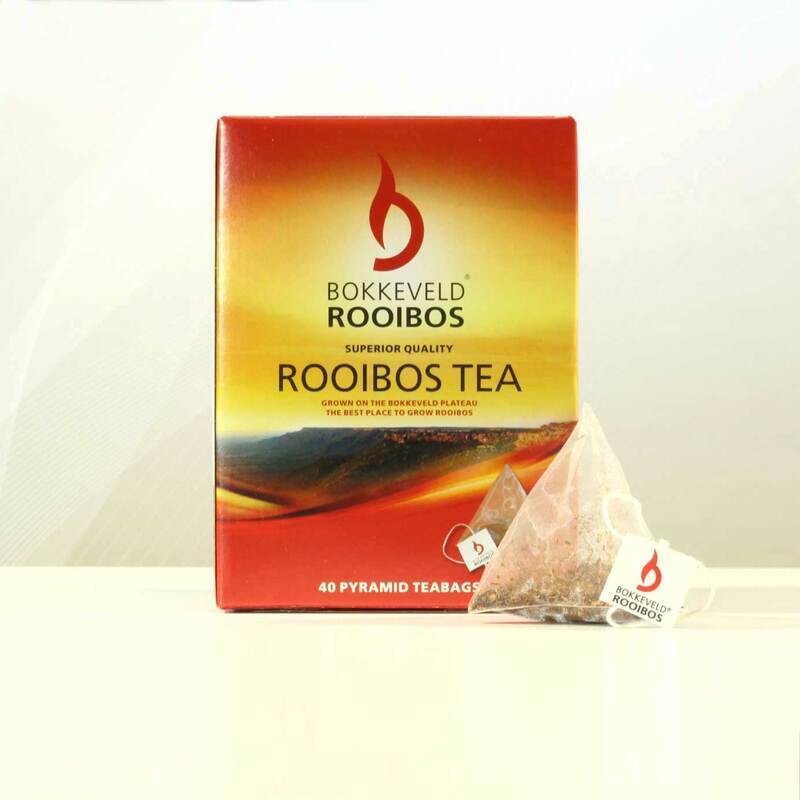 Our climate also contributes to the tea’s aromatic profile when compared to rooibos grown in other regions.